Observation - water boatman - UK and Ireland. Description: watched a number of water boatman climbing out of the pond and flying away. 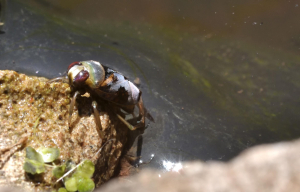 watched a number of water boatman climbing out of the pond and flying away.